If the report is favourable, did I really need an Inspection? How do I select the best Home Inspector? Before buying a home it is important to identify problems that may exist and repairs that will have to be made. This enables you to plan financially and helps avoid expensive surprises. At the very least an inspection provides peace of mind in knowing that your new home is safe and sound and the largest investment of your life is a sensible one, based on being well informed. If we find problems in a building, it does not necessarily mean you should not buy it, only that you will know in advance what type of repairs to anticipate. Also, a seller may be willing to make repairs, or lower the selling price. If your budget is tight or if you do not wish to become involved in future repair work, you may decide that this is not the property for you. The choice is yours. Definitely! Now you can complete your purchase with peace of mind about the condition of the property and its equipment and systems. You may also have learned a few things about your property and you can rest assured that you are making a well informed decision. A typical inspection should take 2 ½ to 3 hours to complete. This can vary according to the current condition of the home, size, accessibility of mechanical systems and so on. You can call us anytime to discuss your home. Our service is a long term investment and we will be happy to discuss all aspects of your home for as long as you own your home. Home inspection is a discipline that requires special training, knowledge and communication skills. Since the industry is presently unregulated it is important to choose an inspector wisely. Ask about membership in Provincial Associations such as the Ontario Association of Home Inspectors (OAHI) where set standards and continuing education have to be maintained and a strict Code of Ethics followed. Ask about background and experience. Seasoned professional home inspectors will be full time home inspectors, not renovators or contractors. Ask about the level of membership. A Registered Home Inspector is the highest standard in the Ontario Association. The home inspection industry is presently unregulated which means that anyone can refer to themselves as a home inspector regardless of whether or not they have successfully completed the necessary educational requirements. You are putting your trust into a person who is going to inspect, review and report on the single largest investment that you will ever make. You need to know that the home is safe, insurable and that there will be no major surprises after you move in. Now is not the time to consider the cheapest alternative. Hiring a poorly qualified inspector could be a very costly mistake. 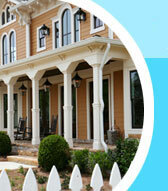 Our prices are competitive and are based on type of home, area above ground and age. Please call for details.